Accra, Jan 15, GNA - A United States-based top Ghanaian Taekwondo champion, Fred Afari and the Taekwondo Security Services of Abossey Okai in conjunction with the Ghana Taekwondo Association (GTA) is to host the first Taekwondo championship at the weekend. 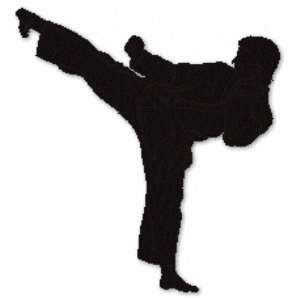 According to Mr Afari, the championship is aimed at preparing and encouraging Ghanaian Taekwondo players to enable them be abreast with the current and changing rules and regulations of the World Taekwondo Federation. He said that Taekwondo is a good sports discipline that builds the mind and body that has no age barrier. Mr Afari appealed to both the old and young to undertake such sporting activities during their leisure hours. Briefing the GNA Sports, Mr Norbert Amerfu, coach of the Ghana Taekwondo Association who was voted Africa's best Taekwondo coach at the 8th All African Games said it is normal for an individual, a group or an organisation to organise such tournament for the upliftment of the sport. Mr Amerfu said that only has to notify the association for the necessary recognition and support. He said that January 20th has been slated as the weigh-in date with January 21st as the date for the championship.